Riders are graded into A, B, C and D groups according to their ability. New riders start off in D grade and will be promoted through the grades as they gain experience. While most races in SA are open to all grades, there are some events that are restricted. For instance, ‘Race your Mates’ is the entry level class and is only open to D and C grades. All riders will be reviewed on an annual basis by the SA Road Race Committee. It is not expected that a rider will be upgraded during a season unless there is some unforeseen issue which would warrant a mid season upgrade. The committee will seek input from Race Secretaries, Clerks of Course and other senior officials on the performance of riders with regards to their grading, based on their observations during the season. The Road Race Committee will then review these opinions in conjunction with their own observations and make a final decision on a riders grading no later than their October meeting each year. Any rider whose grading has been changed for the subsequent year through this process will be notified by way of a formal letter no later than November of each year. All rider gradings for the subsequent year will be posted on the MSA website after upgrade notifications have been made. Any rider who has a legitimate objection to a revised grading may submit a request for review of the grading decision in writing to the MSA Office outlining the basis of the objection. The Road Race Committee will review the objection at the next meeting after receipt of the letter and notify the rider of their decision, which will be final. Riders who wish to compete at a national level (e.g. 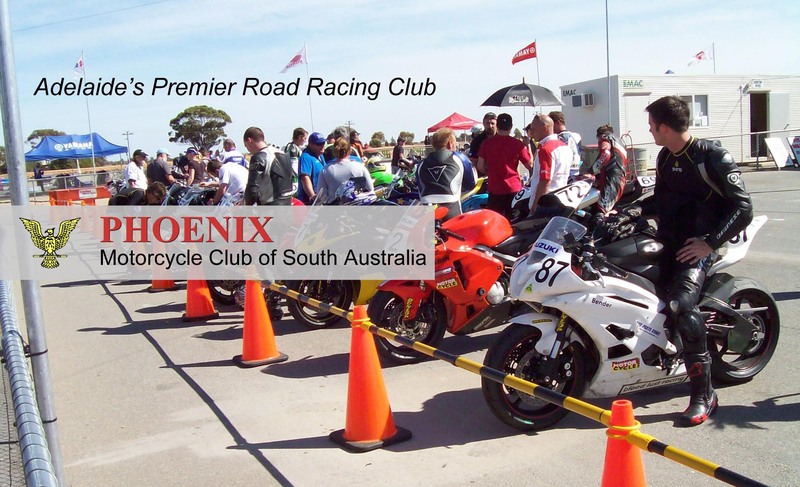 ASBK) ,are asked to notify the road race committee of their intention through their respective club delegates well in advance of applying for national competition entry to ensure appropriate gradings are applied to their specific circumstances. Such notification must be before the committee no later than 30th Sept each year to be considered for the following competition year. The following criteria will form the basis of the committee’s decisions on a rider’s competition grade level. There is an expectation that all riders should be striving to improve their competition grades, however there are no defined time periods for riders remaining at each grading level. “D” grade is generally regarded as the entry level point for new riders to gain experience on the track in a competitive environment within similarly graded competition. Once they have demonstrated an acceptable level of competency to be on a racetrack, which includes showing due regard to fellow competitors, officials and the rules of competition, they will be upgraded to “C” grade. Juniors entering senior ranks will be graded as “C” grade initially, or higher depending on their competency level and in consultation with their coaches and other observers as deemed appropriate. To reach “A” grade or “B” grade status, a rider must be regarded as being of a high enough standard to participate competitively at a national level. This grading should also be consistent with any grading gained by a rider in competition in other state jurisdictions. Unless exceptional circumstances prevail, grades will only be upgraded, not downgraded. Depending on individual circumstances, where a rider has had minimal competition participation during a season, they may not be considered for a change of grade. Where the committee is made aware of a rider’s intention to compete at national level, a deferment of a state based upgrade may be applied to the initial competition year at national level. This is to ensure that a rider is not unfairly disadvantaged in the move to national competition. Historic Road Race competitors traditionally have not been subject to the grading process. However, as opportunities exist from time to time for historic machines to compete in specific events with graded riders they will be nominally graded at C grade level for such events. Should they subsequently move from Historic to Modern competition they will be subject to re-grading consistent with the above criteria. Super Motard competitors will be nominally graded at C grade for inclusion in 100% tarmac competition within allowable classes (ie “Limited”) for the same reasons applied to Historic competitors.